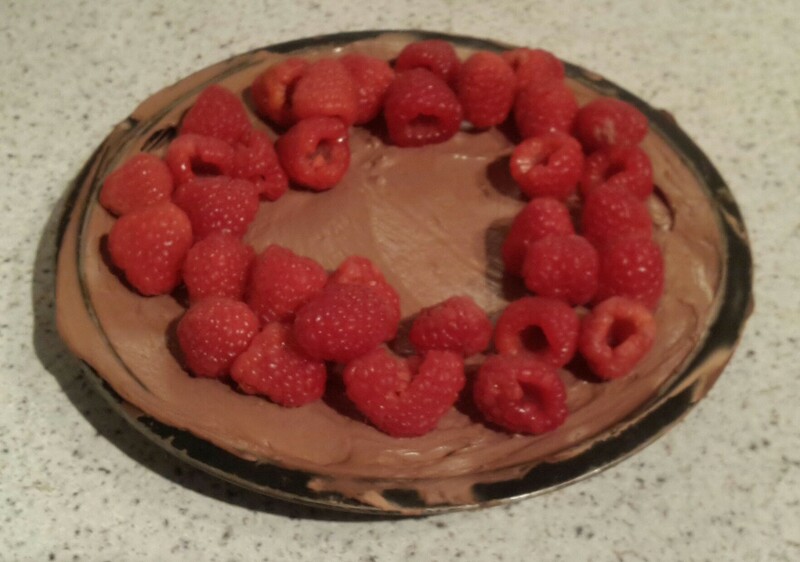 Had a piece of chocolate cake topped with raspberries in a cafe and wanted to make a healthier chocolate and raspberry alternative. 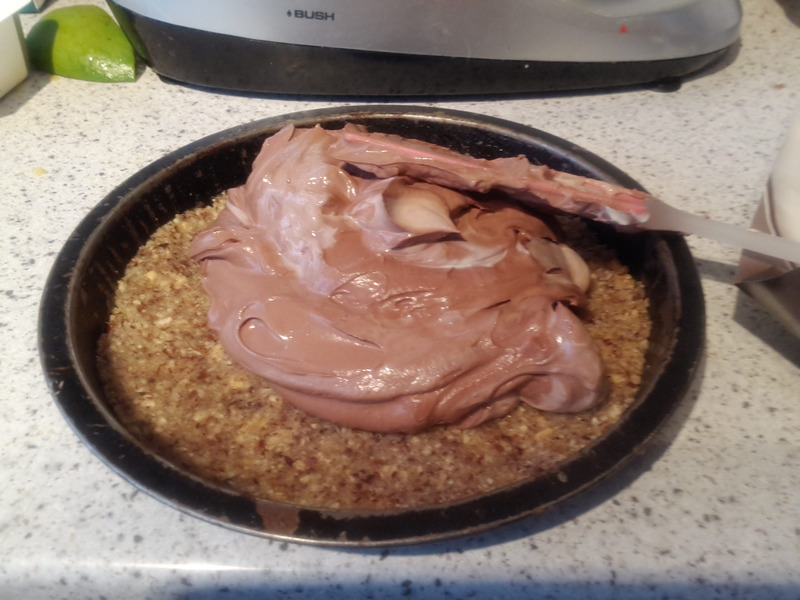 I looked for sugar free and low sugar cheese cake recipes and couldn’t find one I liked so I made one up with some of the elements of different recipes I had read. It turned out really yummy. 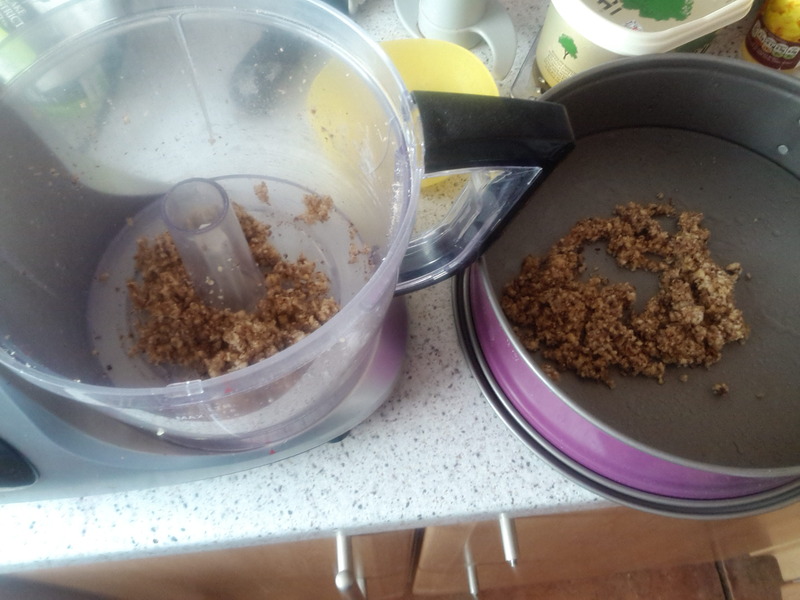 I stared out by blending a packet of hazelnuts with a tablespoon of melted butter and a teaspoon of sugar to make the base. In hind site I dont think the sugar was necessary and i might try a nut better next time. 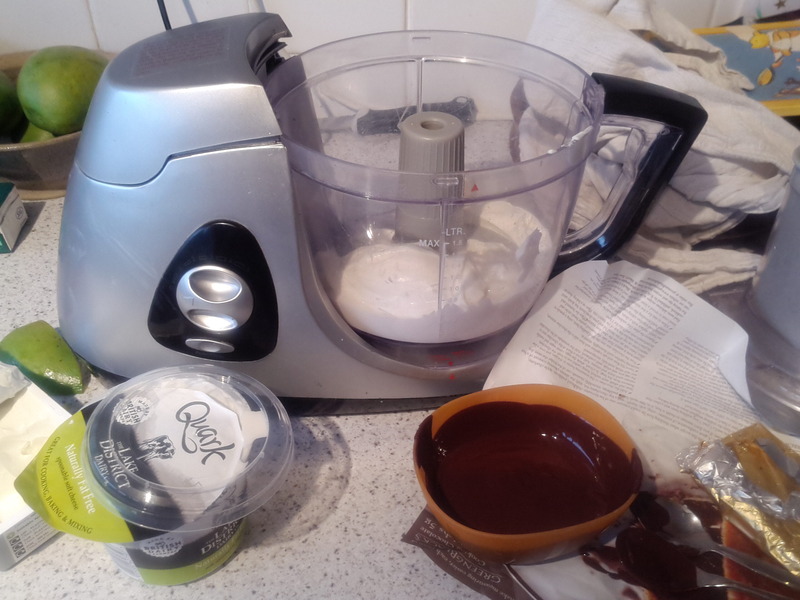 Had to change the pan I was using as this one was too big..
For the topping I blended a pot of Quark, half a tub of low fat cream cheese, 1 tablespoon of icing sugar, 2 tablespoons cocoa powder and 150g high quality dark chocolate. I would leave out the sugar next time. Spread the toppin on the base, was quite thick already. And put in the fridge to set. When it was set I decorated with raspberries. I think it could go well with other soft fruit too. Not super healthy because of the chocolate but so rich and delicious you only needed a very small piece at a time to get a good hit and still really creamy despite the low fat cheese alternatives.